This class is not included for lodging guests, additional fees apply. I began my yogic journey in my late teens. At first, I was drawn to the practice for its physical benefits since I had always played sports, but was soon rewarded with the mental and emotional effects that yoga can have on one's life. I suffered from anxiety paired with sleeping problems and found yoga to be an amazing alternative medicine. Since, I have received my 200hr YTT in Bali, Indonesia in order to share such a beautiful gift with any and all who are curious. 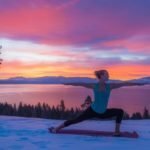 Ashley Aarti Cooper works with Granlibakken Tahoe to help guests and attendees of retreats to further their yoga practice through private instruction and nature walks. 24-hour notice is recommended for ease of booking for private sessions, and with as much notice as possible for excursions. Call us at (636) 851-YOGA or visit AshleyAarti.com. Please be sure to be detailed in your request of date, time, participants what you are looking for, and any injuries and previous experience. Cancellation fees apply for cancellations within 24 hours up to 50% of cost. A credit card with expiration date will be required for booking, although payment can be accepted in cash in person. All participants and guardians will be required to sign a release of liability waiver. Ashley received her 200 hour YTT in Goa, India. She has taught in studios and lead yoga retreats internationally and within the United States for six years. 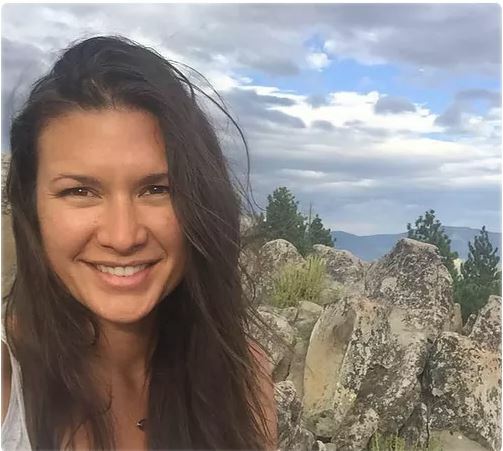 She currently lives in Truckee, CA, and specializes in private yoga instruction for one-on-one to large group classes including extensive experience teaching with the Wounded Warrior Project. 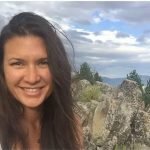 Ashley works with therapeutic techniques and is studying to become a Yoga Therapist, recently completing the first 100 Hour “Yoga is Medicine” Advanced YTT with Avahana School of Yoga. Concentrating on a true yolking of breath, movement and spirit, Ashley's classes are meditative, explorative and fun. Please visit ashleyaarti.com for more information. The Sierra Soul Series of Wellness Events features retreats designed for all ability levels. These annual retreats are designed for people of all abilities, and offer an unforgettable experience furthering your practice while taking in Granlibakken's naturally inspiring surroundings. Check out our wellness packages for dates of our annual yoga retreats. 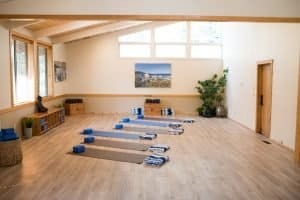 Granlibakken has renovated the Courtview room in the heart of its property to become the new Soul Shelter, a yoga and meditation space. This space boasts an abundance of natural light, wood floors, and neutral tones to help you feel at peace. Mats and blankets are available to borrow. This room is open to all guests, and can also be reserved for private sessions for groups. Rejuvenate, unwind, and relax on your next getaway. Yoga is a mindful exploration of one's space, internal and external. It is a practice that is deeply personal and one that opens itself infinitely, both constant and evolving in its nature. To yoke, or to yuj, completely with all that surrounds and all that fills the individual, yoga is a uniting of the self with all else, but it is not a religion nor need it be focused in its spiritual disciplines. Yoga asana and vinyasa, the flowing movement of one posture to the next that is so popular today, is only one branch of the eight limbs of yoga. To tap into the full benefits of yoga, one also practices breathing techniques (pranayama), meditation and sense withdrawal. The yamas and niyamas are ten codes of behavior which ask the individual to honestly examine her mind and actions so that she may move in the world with grace and consideration for the good of all that inhabit the Earth. Benefits of yoga include greater mental clarity, flexibility in both body and mind, a calmer and steadier heart, healthier functioning systems (i.e. digestive, cardiovascular, emotional), pain relief, a lighter spirit, longer and leaner muscles, more open joints, increased range of motion, and so much more.